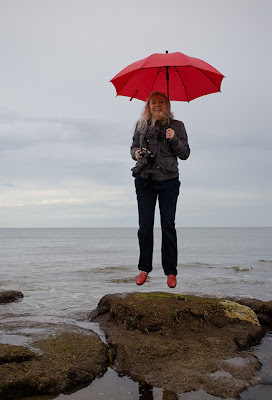 Magda floats down for a photo shoot on a rainy summer day along the British coast. I've had numerous emails from people wanting to see more of my photography and asking about buying images. As you know I do respond to every email but to make things a bit easier here's where you can find my work. I also have portfolios on numerous photography community websites. I plan to do a review in the near future on these websites and my experiences, which have not always been positive. Having said that I've made friends with wonderful photographers across the globe. Hi guys! I also sell Rights Managed and Royalty Free images for editorial and advertising. Please contact me for more information on the licenses available for the particular image you have chosen. I am available for photography and writing commissions, and work mostly in the UK and Western Europe. Happy to discuss any proposals. Hopefully this covers some of the FAQs. You can find out more about me here if you are so inclined. And please remember, all photographs belong to someone and are automatically copyright. Before you use an image you have to get the author's permission. In my case all of my images are "All rights reserved" and may only be used if I have given permission in writing. Well that's more than enough about my stuff. Thank you for your interest in my photography.